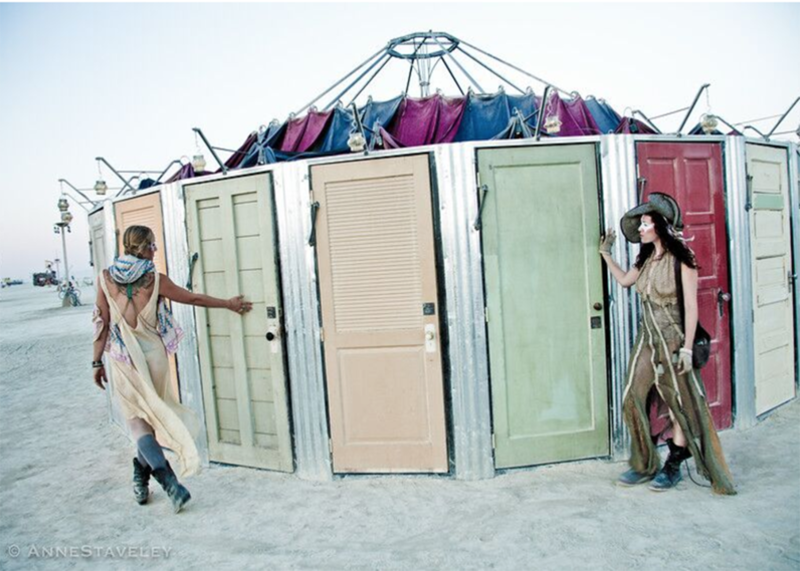 Amongst the myriad of experiences to choose from over the 7 days of the Global Eclipse Gathering, there will be doors into delight, doors into mystery and doors into ourselves. At any and every moment we will be choosing which one to walk through, and witnessing how that choice cascades into our lives, at Oregon Eclipse and beyond. 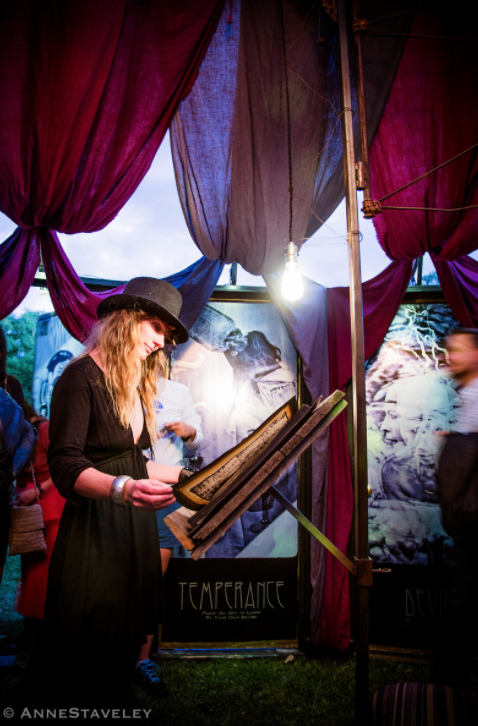 Enter this living Tarot deck by stepping through one of its 22 doors. 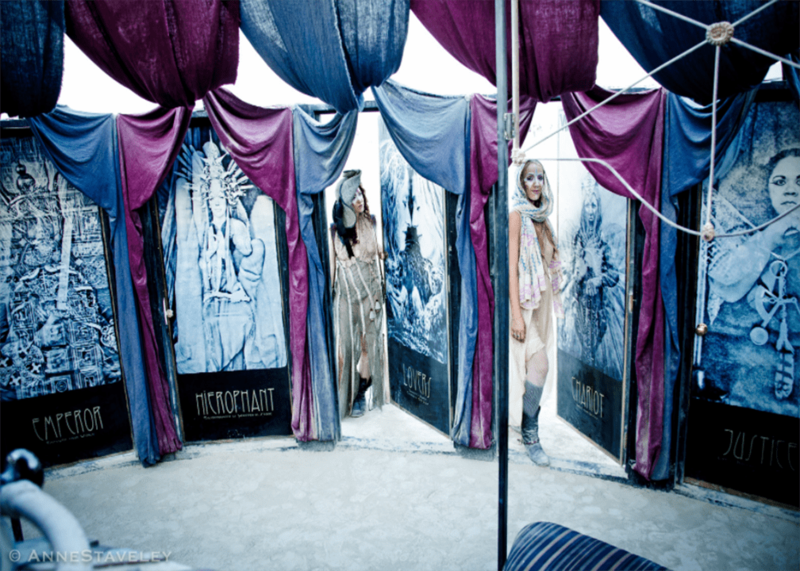 On the inside of each door is one of 22 massive multiple-exposure photographs featuring a cast of powerful and inspiring women depicting the Major Arcana of the Tarot. Upon opening a door, you realize you have chosen a tarot card! The opposite side of each door is covered by a multi exposure ethereal compositions, created without the aid of computer software.The interior is illuminated by halos of flickering flames and a spinning drum of dancing lights. Two hand-bound books on pedestals allow guests to learn more about their chosen card. 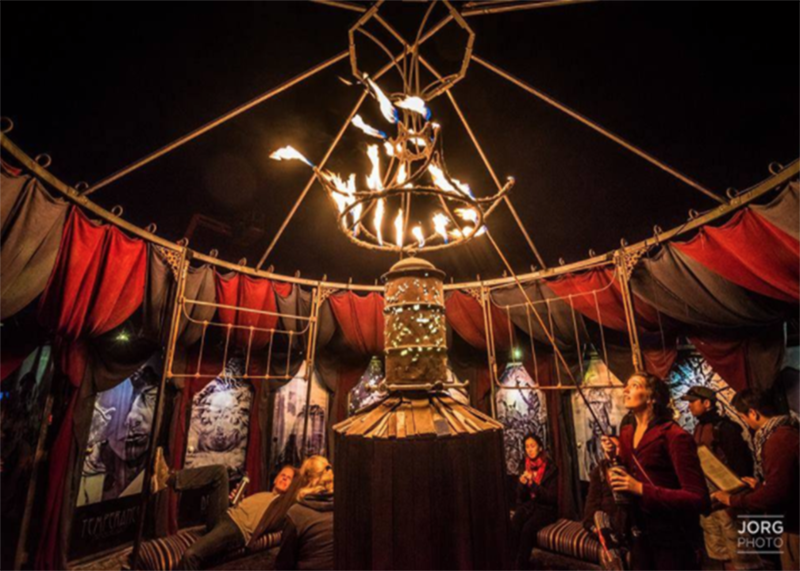 Join us for divination, ceremony, tea parties, musical performances and workshops. Spin the wheel! Do you choose the door, or does the door choose you?